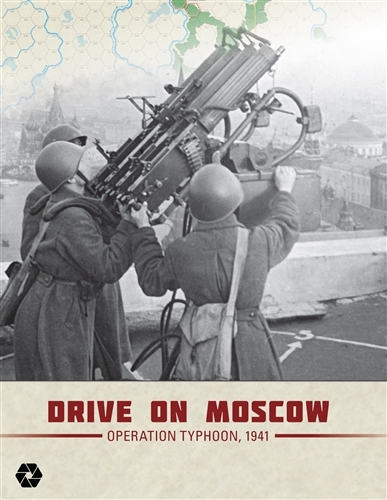 Drive on Moscow is a two-player (solitaire friendly), low-intermediate complexity, strategic simulation of the German attempt to capture the capital of the Soviet Union late in 1941. 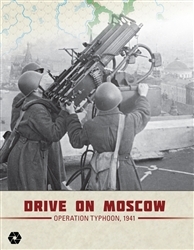 Play encompasses the period that began with the Germans launching their offensive on 1 October 1941 and ends on 7 December. The units of maneuver for both sides are primarily divisions, along with some brigades and one elite regiment. 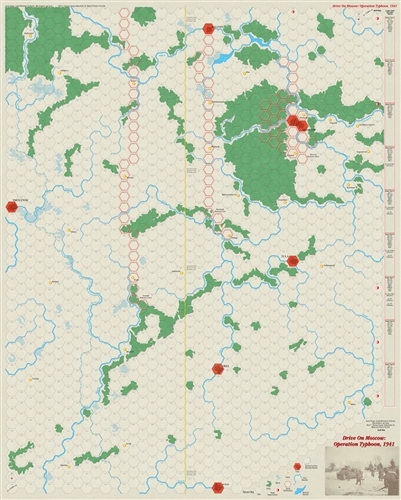 Each hexagon on the map represents 7.5 miles (12 km) from side to opposite side. Each game turn represents a week. 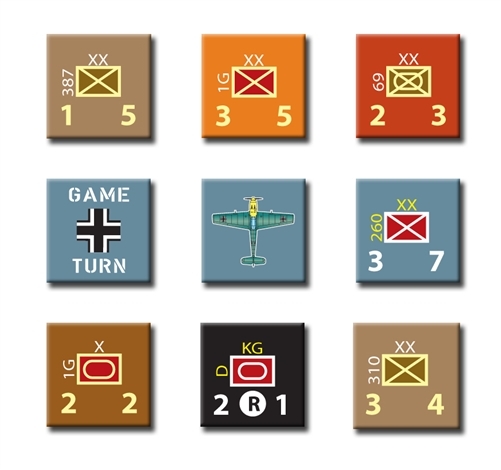 The effects of the general air superiority enjoyed by the Germans throughout much of the campaign are built into the movement and combat rules. 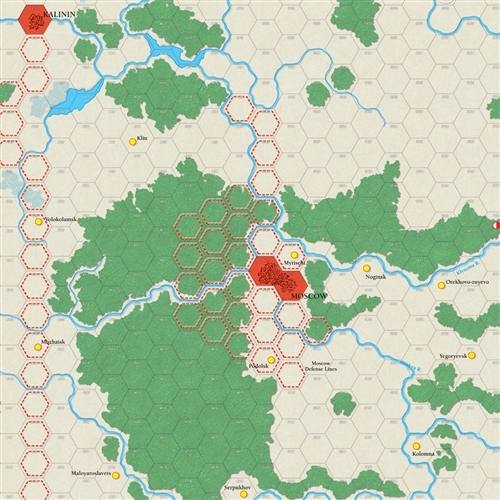 Soviet units are mostly untried with their exact strengths unknown until the first time the enter combat; however, their elite Guards divisions all have two steps and known strengths.